Send a token of your affection with this pretty tulip arrangement. 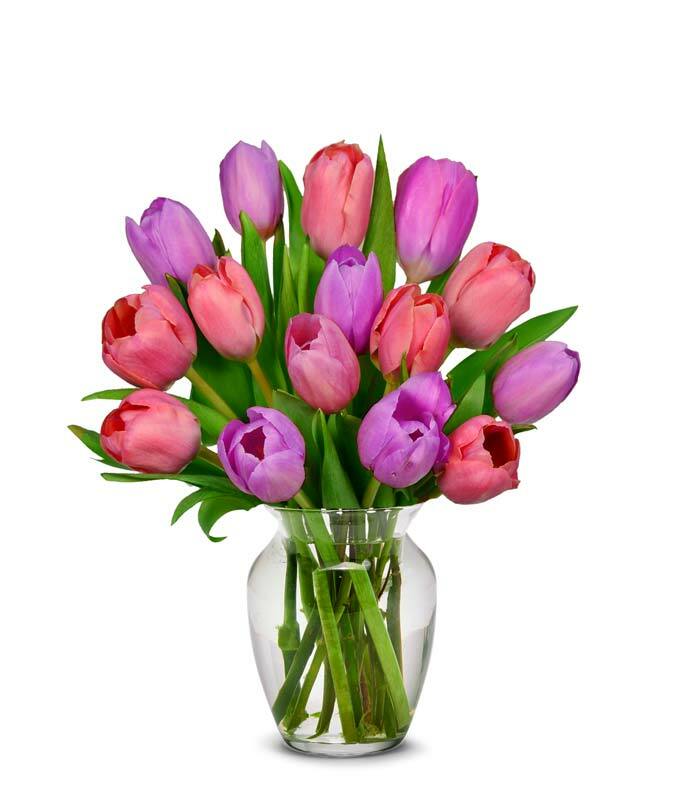 A lovely combination of pink and purple tulips joined together to express how much you care! A simple way to acknowledge any special occasion.